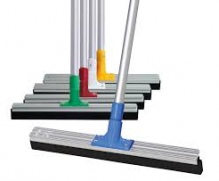 The main purpose of a floor squeegee is to get rid of unwanted liquids that are found on flat surfaces such as on floors. They can be found available in two varieties which would be the traditional single blade rubber version which is used for heavy duty or the modern twin foam type which are excellent for use on uneven surfaces. 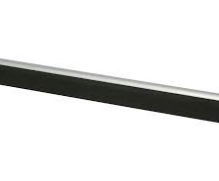 Squeegees are ideal cleaning supplies when you want to eliminate liquids in a clean and efficient manner. Our Oates quality wooden squeegees are guaranteed to give you the best products you’ll need to wipe unwanted liquids on your surfaces. They come with highly durable grease resistant rubber that will make wiping more efficient than other products. 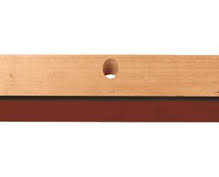 You can buy our wooden squeegees of various sizes too depending on your needs. 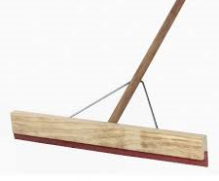 With reinforced metal brackets and a head that can be replaced easily, you won’t find a better squeegee for your wiping needs than from us. 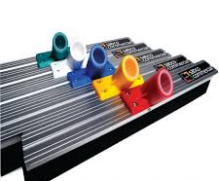 Just like our wooden squeegees, we also have products that are made of aluminium. This material provides flexible blade moulds that are able to adjust based on the shape of the floor and can also be used to reach lower areas of grout for cleaning uneven surfaces. 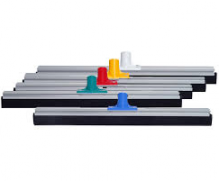 Our aluminium squeegee products are available in various colours and sizes to fit your needs and the heads are also easily replaceable. If you are looking for cleaning supplies whether for residential, commercial or industrial purposes, then you don’t have to look far. Alpha Cleaning Products can provide you with everything you need to keep your area neat and clean. We offer a wide range of cleaning equipment that has made us a one-stop-shop for many people and businesses. Come and check out our website to see what products you can get from our online store right now!